Haruhi Cosplay – 望み – What is that you desire? 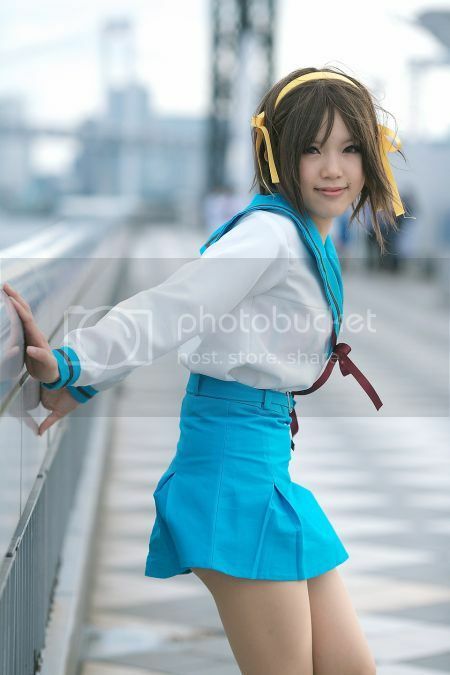 This is probably one of the better Haruhi cosplays I have seen, but.. but the cosplayer looks absolutely like someone we know from our class. WHY?! 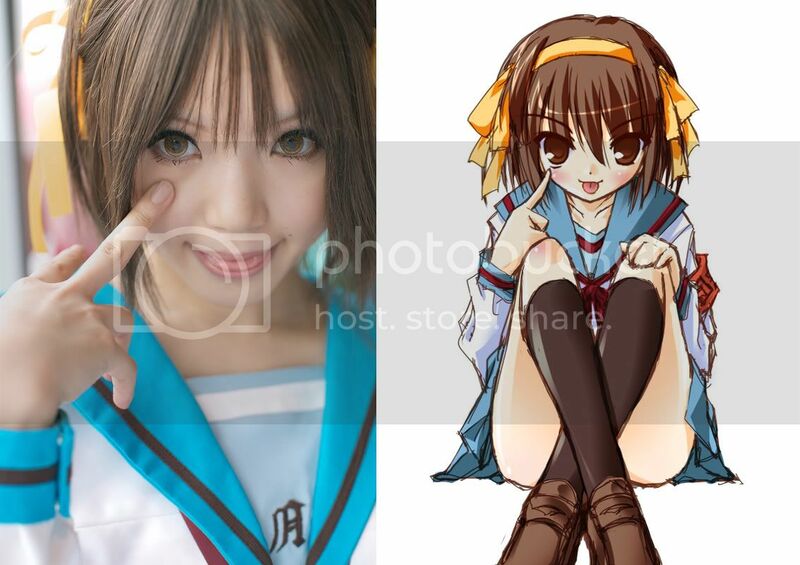 Below then, I have doctored an image to contain the cosplay picture and a similar haruhi picture (It’s a fanart. Can’t find an original one which is similar.) for comparision purposes. Looks like erene don’t you think? erene? wtf? no way man. this one quite chio lor. no leh. i still think not bad.. give me, i want. hahah..